Nina Martinez contracted HIV from a blood transfusion as a newborn. Earlier this week, the 36-year-old Atlanta resident donated a kidney to another person with HIV, making her the first living HIV-positive kidney donor, reports Fox 5 Atlanta (you can watch the video below). 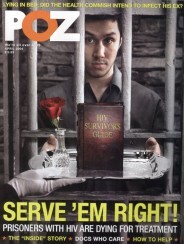 Before 2013, it was illegal for a person with HIV to donate organs, even to other people living with HIV, but that changed under the HIV Organ Policy Equity (HOPE) Act. However, until now, all the transplants that had taken place since 2013 have involved HIV-positive donors who were deceased. 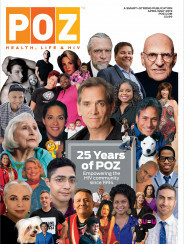 In related news, read “New Study Tracks Kidney Transplants Between People With HIV” and the POZ Story of Gary Garcia, who received a liver transplant and now spreads the word about the HOPE Act and organ donations.